Today, I’m talking writing about non-fiction after romance. Or writing non-fiction before romance. Or how writing non-fiction affects writing romance. Or vice-versa. Maybe all of those. Anyway, I’m delighted to be on the Contemporary Romance Writers blog. Social Anxiety Revealed is released in just six days: August 22, 2017. Yes, I’m interviewing myself. Why not? Q: Hello, Miriam. I’m delighted you could join me today. A: I’m delighted to be here. Thank you for inviting me, Miriam. Q: Tell me about your novel, Neither Here Nor There. A: It’s a light romance, set mostly in my home town of Jerusalem and partly in my former home town of London. Q: Oh come on, it can’t be that light with such a background. It must involve terrorist attacks and killing and all those scary things that go on all over the Middle East. A: No, there’s none of that in my novel. Q: So it’s a utopian sort of novel – the way you’d like your country to be. A: No, it depicts everyday life in present times, just as it is. The fact is, there’s so much more to life in Israel than those troubles you hear about on the news. We follow the news, of course, and we’re so very sad about the lives that are lost. But most people go about their lives without encountering any danger at all. And so the story of Esty and Mark and all the characters in my novel is perfectly realistic. Q: So you’re saying this is just another romance. A: No. While it can be read as a simple romance, it also brings up some complicated issues – issues most readers will recognise in some form or other. Q: What sort of issues? A: Arranged marriage, living in a closed community, escaping from a closed community, emigration, life-changing decisions. Q: Yes, some serious issues there. Tell me about the closed community in your novel. A: The haredi community. I call it that for simplicity, although within that group are several sects, some very much opposed to others. They live in various parts of the world. Many of your readers will have noticed their distinctive dress. The men wear black hats, black suits and white shirts, with tassels hanging over their trousers, and they have beards and sidelocks. There are some who wear stranger garb. The women always wear long sleeves and long skirts, and married women cover their hair with scarves or wigs. Some people even think that all Jews or all Israelis dress like that. In Jerusalem, they used to live only in specific districts like Mea She’arim, but they’ve expanded to other areas due to lack of space. The men often don’t work, spending their time studying the holy books. That leaves the women to support their large families, as well as caring for children and doing the housework. Q: The women must feel very bitter about that. A: I don’t think so. Most of them believe that’s how they’re supposed to live and never question it. They’re proud to have husbands who are able to study for long hours. Q: What about arranged marriage? How does that work? A: I want to stress that their marriages are arranged and not forced. They’re allowed to choose their marriage partners, but their choice is limited. They’re expected to choose one out of the few they’re introduced to. Q: Do you think that works? A: It seems to work as much as our system of random meetings does. The divorce statistics show that. I think a couple can grow to love each other after marriage, although I don’t have first-hand experience of such a relationship. Q: How do other Israelis regard the haredi community? A: There’s a lot of resentment. They generally don’t have to serve in the army, and they get grants for studying, which many view as a complete waste of time. On the other hand, they do jobs that no one else wants to do. There are at least four major associations run by people from the haredi community and serving the population at large. There’s one that deals with everything surrounding burials. One that provides all sorts of medical equipment. One that provides food for hospital visitors. And one that picks up and identifies all body parts following an explosion. I saw an accident once at a junction in Jerusalem. I looked down from the top of a hill and saw a man lying on the road, having been thrown off his motorcycle. Immediately, someone got out of a car and started redirecting the traffic. Someone probably phoned for an ambulance. Two minutes after the accident, a haredi man who happened to be passing stopped his car, took a first-aid kit out of the boot and rushed over to the victim. Q: Well I think we’ll leave it there. Thank you for coming, Miriam. 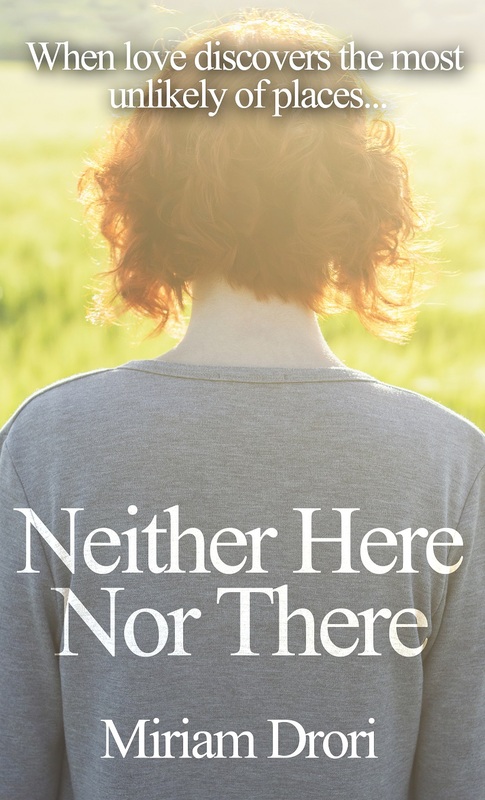 Neither Here Nor There, published by Crooked Cat Publishing, is available from Amazon, Smashwords, Barnes and Noble, Kobo, iTunes and elsewhere. 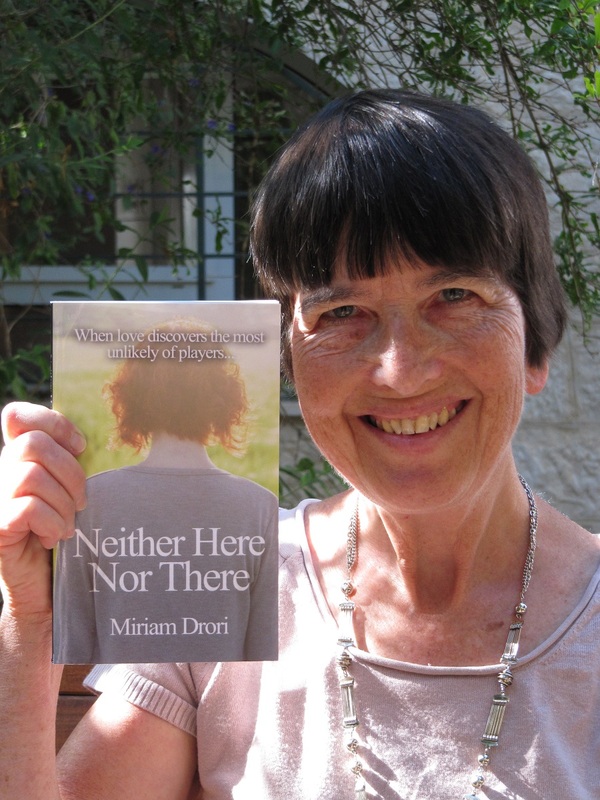 Miriam Drori can be found on Facebook, Twitter, Goodreads, Pinterest, Wattpad and on her website/blog. Stop press: Neither Here Nor There is on sale for a few days on Amazon. 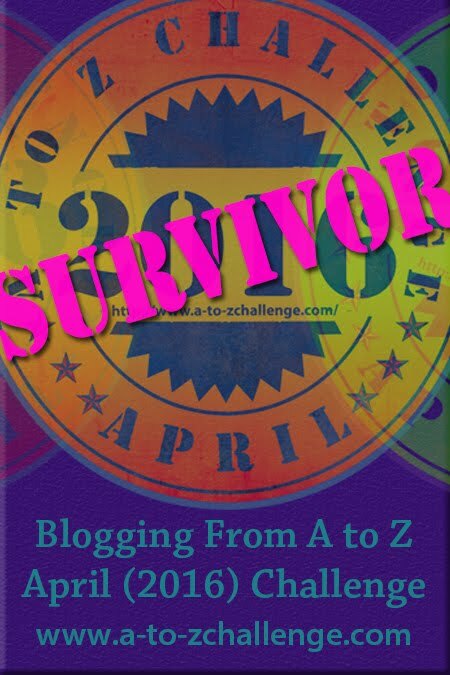 In honour of that, several bloggers will be featuring the novel. I’ll update this post as those posts appear. Fictional characters sometimes do uncharacteristic things when their authors pull the right strings. That’s how I can bring you Leah today. Take it away, Leah. Ah, that means… let’s hear from you. It feels very strange for me to be writing this letter. Usually, we keep ourselves apart from all the infidels who haven’t yet learned how to live as G-d wants us to. I feel blessed to have been born into a righteous, G-d-fearing family, who brought me up to fulfil all six hundred and thirteen of G-d’s commandments – or rather, those that apply to women. Now I have a family of my own. I was lucky enough to marry at sixteen. My husband is a good, studious and pious man. He gets up very early every morning to lay tefillin and pray before going to study in the yeshiva, where he spends long hours. I get up early, too, of course. When I’ve said my prayers, I have to tend to the children and the flat and help my mother in her grocery store. Bli ayin hara, I have three wonderful children and with G-d’s help I will have many more. I feel so proud to be able to fulfil the commandment: Be fruitful and multiply. My eldest is a boy. He has beautiful long flowing hair, which I comb every morning and tie in a ponytail. I will be sorry when he reaches the age of three and has to have it cut short, but I’ll also be proud to see him become a real boy with peyot, and wearing a kipah and tzitzit, a boy who is old enough to do good deeds. The other two are girls; I love them all. My life has changed so much and so quickly. Not so long ago I was a young girl, playing, studying and helping my mother with the chores. Truth be told, I never did study much. It was hard for me to concentrate. I was never like my friend, Esty, who thought deeply about the things we learned. I remember her trying to discuss them with me, but I wasn’t really interested. May G-d forgive me for mentioning Esty’s name. I can’t help thinking about her sometimes and wondering why. She was so pretty and clever. How could she have done such a stupid thing? I saw her the other day in the Interior Ministry office. I’d gone to register the birth of my little one. I was just wheeling out the babies, my son holding onto the pram, when she called my name and I instinctively turned round. I was shocked at what I saw. She stood there, in the hallway, wearing a man’s clothing – trousers and short sleeves. She knows what a sin it is to do that, but she did it anyway. I just stood there, transfixed. I couldn’t talk to her, of course, but I should never have turned when she called my name. 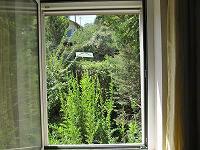 Fortunately, my son called to me and I turned back to him and we continued to the lift. I don’t know what I’d have done otherwise. She could have become a light to the women of our community, I know she could. She was clever and wise, but she threw it all away. I’ll never understand why. Well, I must go. The baby needs a feed and I have plenty of chores to do before the Sabbath. Life is good, thanks to G-d. So much more than a romance, this is a tale of transformation in an exotic setting. Esty’s life was laid out for her from birth. She would marry one of a handful of young men suggested to her and settle down to raise a large family in a tiny space within the closed community of her parents, near to and yet far from the modern world. But Esty has decided to risk all by escaping while she still can. Will she make it to the other side? Mark, who is struggling with his own life changes, hopes that Esty will find a way through her troubles. He is fast falling in love with her. Separately and together, in Jerusalem and London, Esty and Mark need to overcome many obstacles in their endeavour to achieve their dream. Neither Here Nor There is available from Amazon, Smashwords and elsewhere. Miriam Drori was born and brought up in London and now lives with her husband and two of her grown up children in Jerusalem. With a degree in Maths and following careers in computer programming and technical writing, Miriam has been writing novels and short stories for eleven years. Two of her short stories have been published in anthologies and others have been published online. Neither Here Nor There is her first novel. 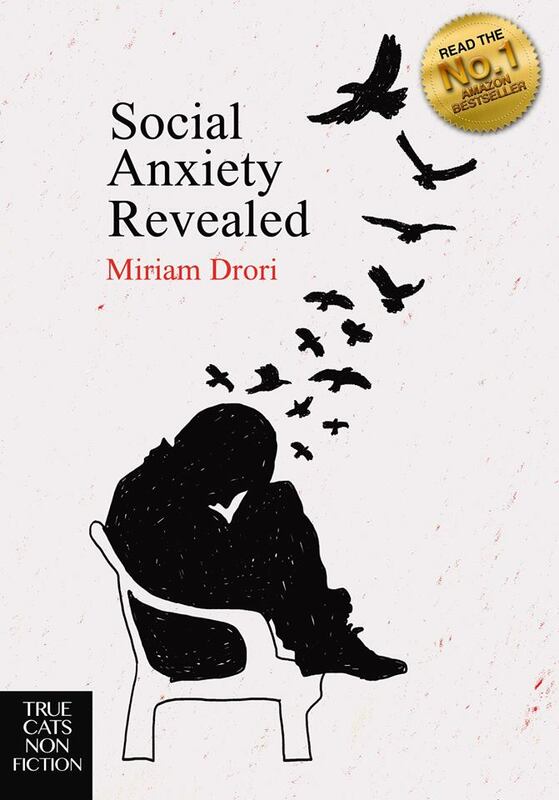 Miriam began writing in order to help raise awareness of social anxiety. Since then, the scope of her writing has widened, but she hasn’t lost sight of her original goal.